Hello there, welcome to another day of CBS Teasers. 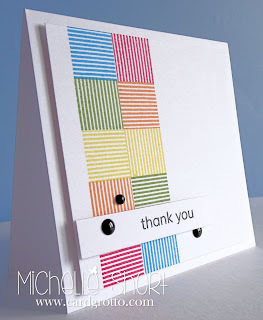 Today I am using a new set called Geometric Shapes, it is a great set full of different shapes and some lovely sentiments too. I have made his and hers thank you cards. 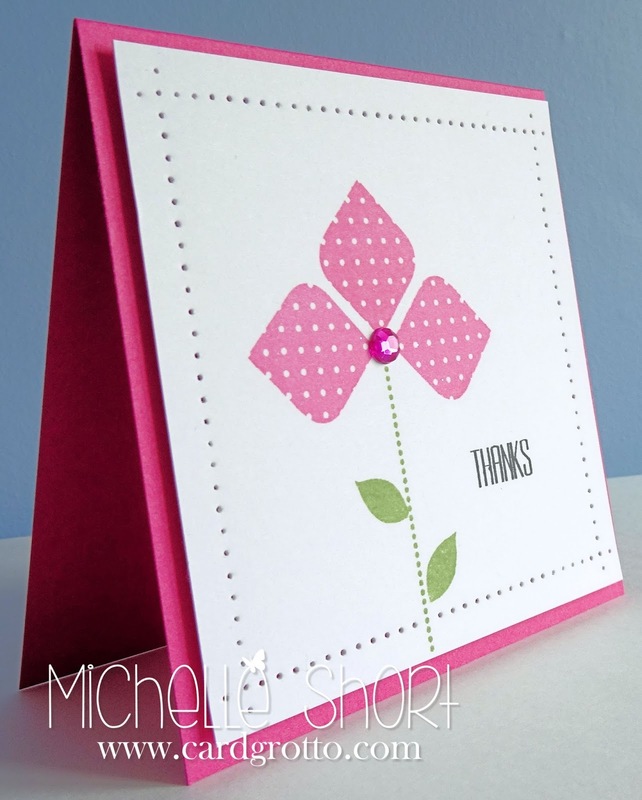 For the female card I have used one of the shapes to create a flower. 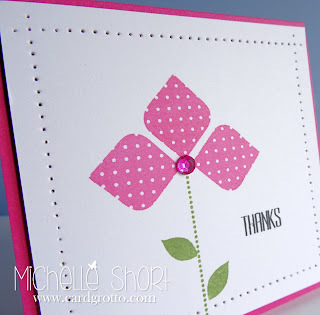 I have taken the polka dotted line from the Framed Sentiments set to use as a stem and taken one of the stamps from the Leafy Accents set, masked off all but one leaf and used this for the leaves on the flower stem. I then stamped the flower petals on the top and added a rhinestone to the centre. The sentiment is from the same set. I have then gone around the panel and poked holes in it using my Tim Holtz ruler for an added border. For the male card I have used one of the squares in the set and stamped them out in rainbow colours (minus the indigo & violet!). 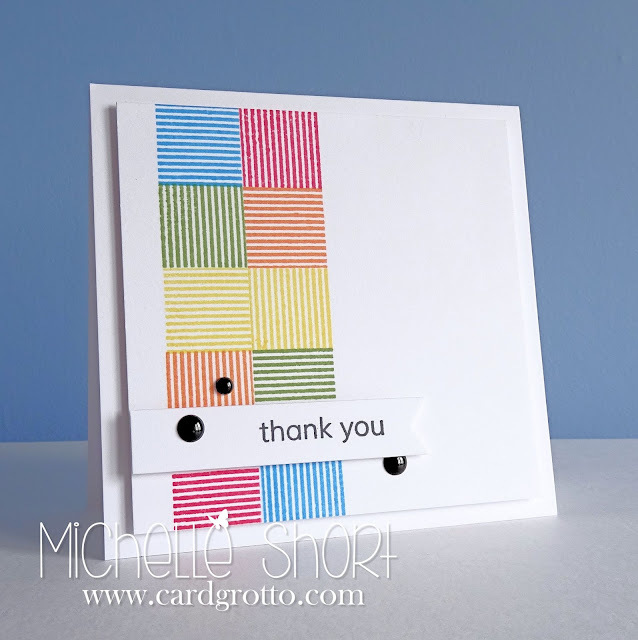 I have then stamped the sentiment from the A Little Sentimental set and cut it out using one of the dies from the Tag Along Die Collection. Thank you so much for visiting me today. 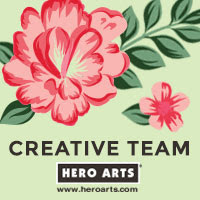 As always, please visit Stephanie's blog for more teasers and links to the rest of the Design Team. See you tomorrow for the full reveal! Great cards Michelle - I particularly love the flower one - stunning colours! 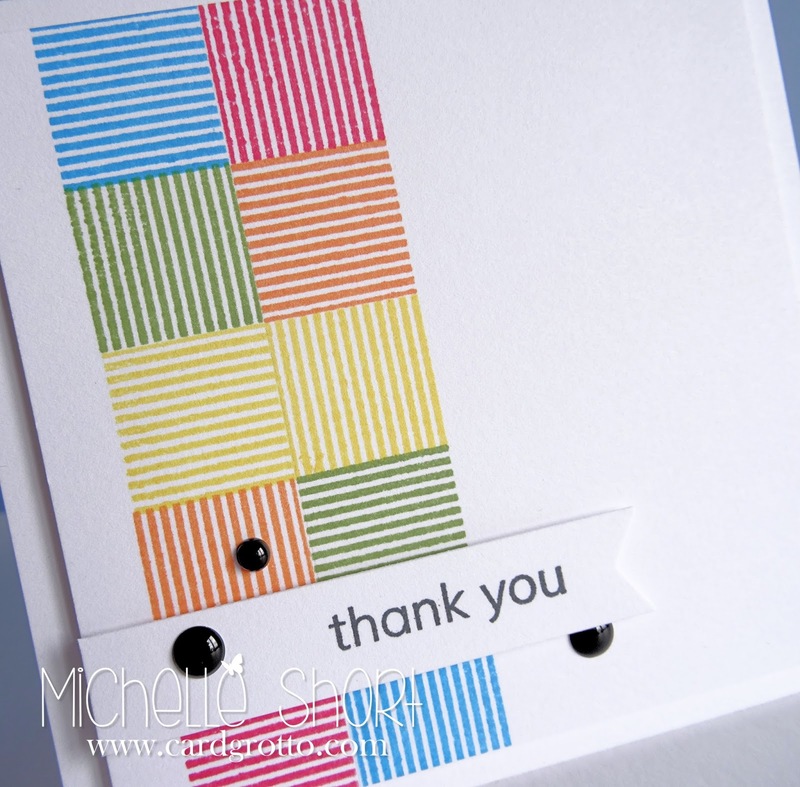 These are stunning Michelle, you use of colours and shapes is just amazing! These are both so pretty! Love how you created a flower on the first one and the colors on the second one! Love the colours, very uplifting. 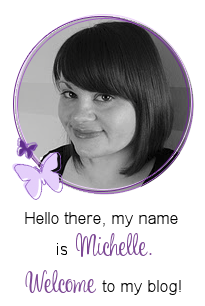 Both cards are really fabulous, Michelle! I really love how you paired your stamps to create the first card, and your stitched border is perfect! Fantastic cards!!! You have really shown off the versatility of this set.